Frack Free Mahoning Valley, Susie Biersdorfer: So Jackie I hope you’ve read some of the scientific literature about birth defects…and I see that you are , you know, pregnant, so I hope you’re not going out and visiting frack wells right now. Do you know about the scientific studies out in Utah and Colorado? Energy In Depth, Director, Jackie Stewart: Wow. You are seriously attacking me, as a pregnant woman? Frack Free Mahoning Valley, Susie Biersdorfer: I’m not attacking you; I’m just letting you know that. Energy In Depth, Director, Jackie Stewart: You’re warning me? Frack Free Mahoning Valley, Susie Biersdorfer: I am. This is certainly not the first time an activist has attacked a mom for having a favorable opinion on developing oil and natural gas, nor is it the first time that ban-fracking groups have tried to push debunked studies surrounding infertility, miscarriages, and birth defects as a means to evoke fear among women. It’s happening all across the country. 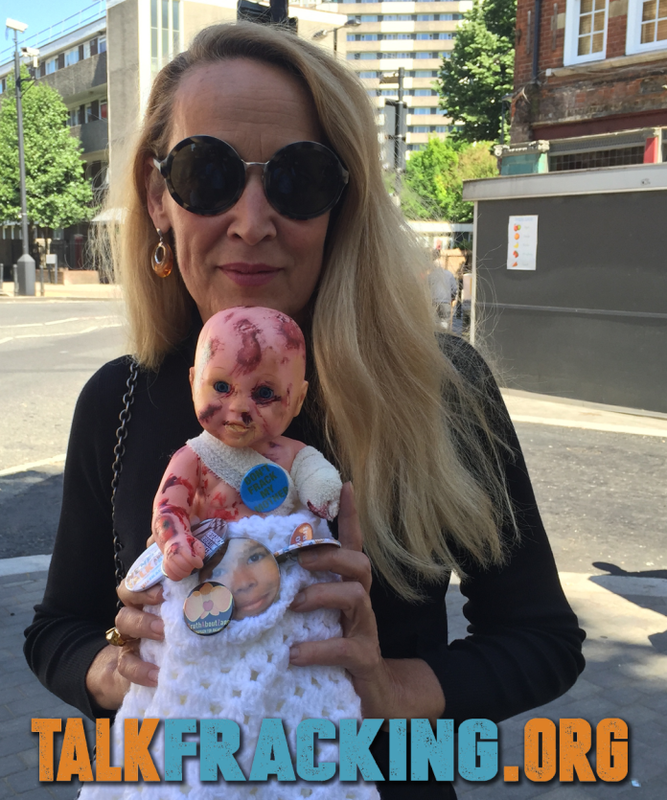 Take a look at actress Jerry Hall, spokesperson for “talkfracking.org”, pictured below. Sadly, this propaganda targeting pregnant women begins before the birth of a child and continues on into early childhood. 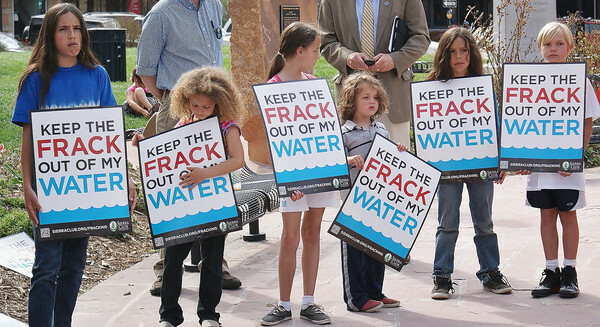 For example, take a look at a protest in Colorado, where young children are used as pawns in misinformation propaganda, highlighting the gross indoctrination of the natural gas opposition. Fast forward to just a few years, and the next step is to graduate the early childhood indoctrination into “Lobbying for Kids.” Take a look at this video which clearly shows, Food & Water Watch Western Region Director Sam Schabacker has no problem using children to promote Food & Water Watch’s political agenda, which calls for national and statewide bans on hydraulic fracturing and the energy production it makes possible. 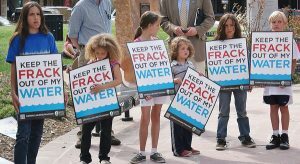 EID guest columnist, Betty Sutliff noted back in 2013 in Message to Natural Gas Opposition: Stop Exploiting Children! This is the sobering reality of the green agenda, the Keep It in the Ground Movement, 350.org, and CELDF’s so-called “Bill of Rights movement. It’s personal, and it’s designed to scare the public, by any means necessary – and worst of all, it’s based on “science” that doesn’t pass muster.